Family Business: Avoiding conflict can ruin everything. 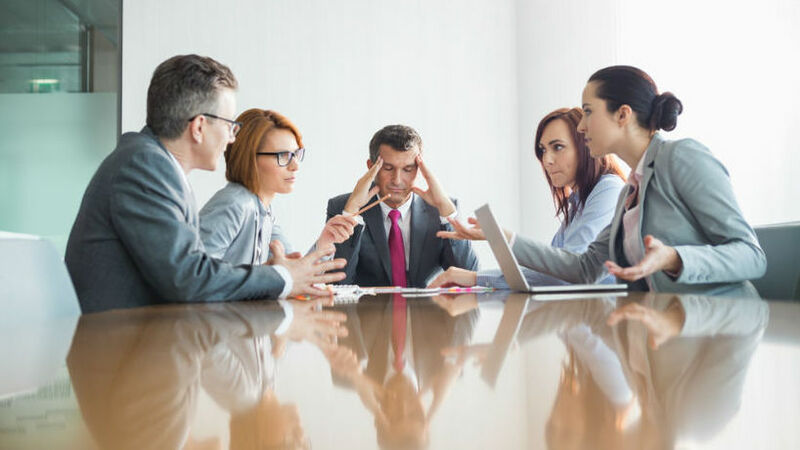 The greatest danger to a family business is seldom lack of intelligence, resources, financial or legal advisors, the bigger problem is unaddressed inter-personal conflict. This conflict may have begun 20, 30, or even 40 years ago. It may be between the 1st and 2nd Generation, or between members of one specific generation. It usually begins with some type of basic, unremarkable DIFFERENCES. Then it may evolve into a MISUNDERSTANDING. Left unaddressed the issue tends to grow in significance and the parties may be tempted to look for a negative intention. This often turns into a DISAGREEMENT, which is a misunderstanding with an ‘attitude’. This is when things begin to heat up and so does the party’s intensity around it. Now individuals begin actively looking for a pattern that supports their assumption of a negative intention. From here it can move into DISCORD which is characterized by a general deterioration of the relationship. The intensity increases again doing further damage. Discomfort spreads from this issue into most of the party’s interactions. All of this can lead to POLARIZATION. Now each party is spending an inordinate amount of time and effort in a defensive and/or offensive posture. Each begins to actively recruit others to their side. All parties refuse to engage in constructive conflict resolution. There are severe negative emotions and behavior leaving little hope of reconciliation. Is there hope? Of, course and the sooner action is taken the easier it is to find some level of resolution and reconciliation. We specialize in helping all the parties involved find common ground, a compelling purpose that drives everyone back to the table. At first we may need to facilitate interactions. However, once we start making progress, we provide the individual parties with the tools and skills they need to hold respectful, productive conversations. Our goal is to make doing business together fun again, so that everyone enjoys working together to move the business forward.